Two young poets, Jan and Remo, find themselves adrift in Mexico City. Obsessed with poetry, and, above all, with science fiction, they are eager to forge a life in the literary world - or sacrifice themselves to it. 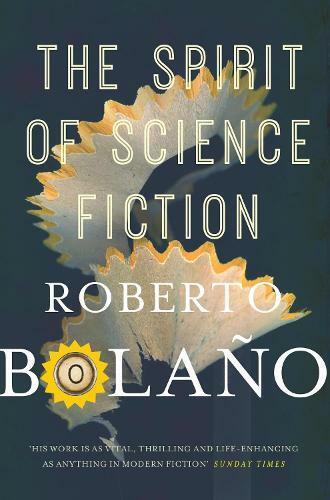 Roberto Bolaño’s The Spirit of Science Fiction is a story of youth hungry for revolution, notoriety, and sexual adventure, as they work to construct a reality out of the fragments of their dreams. But as close as these friends are, the city tugs them in opposite directions. Jan withdraws from the world, shutting himself in their shared rooftop apartment where he feverishly composes fan letters to the stars of science fiction, and dreams of cosmonauts and Nazis. Meanwhile, Remo runs head-first into the future, spending his days and nights with a circle of wild young writers, seeking pleasure in the city’s labyrinthine streets, rundown cafes, and murky bathhouses.